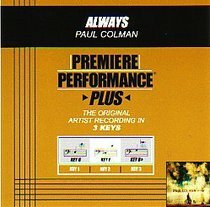 Paul Colman is a Grammy Nominated singer/songwriter and a world-class entertainer. He has performed all over the world, written hit singles, garnered numerous awards and has sold hundreds of thousands of records. Paul still travels the globe singing and speaking and sharing his songs, thoughts and stories.